Cabinet latches are mechanical closure components of common residential and business storage items such as cabinets, cupboards, drawers and more. Industrial settings make use of paddle latches, slam latches and other heavy duty latches due to their durability and easy handling. 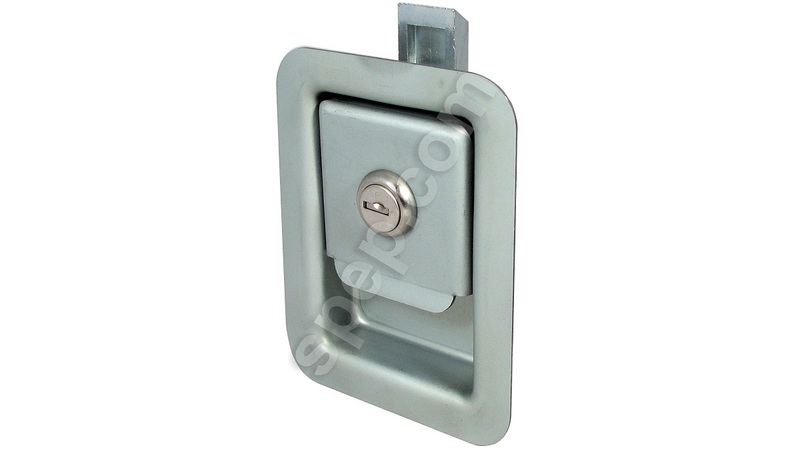 These industrial latches are typically made from high strength metals which are able to withstand a fair amount of wear and tear and survive under elements of weather. Small cabinets, such as those used in the home or office, often use simple latches such as bolt latches, or spring latches which are effective and yet inexpensive. Instead of only being manufactured from stainless steel, brass or aluminum alloys, cabinet latches are also commonly constructed of rubber and thermoplastics. Plastic latches offer the added benefit of flexibility and impact resistance which may be an important feature for some cabinetry. Cabinets with more visible locations often utilize spring latches as they offer a wide range of handle and knob designs in order to adjust the aesthetic of the cabinet. Furthermore, in spring latches, the mechanisms of the latch are largely hidden from view, making it an ideal choice where appearance is a factor. For cabinets that are or may contain environmentally sensitive objects, compression latches provide added security as this particular type of latch not only secures, but seals the edge surrounding the cabinet door. Manufacturing methods for the different types of latches include die casting, stamping or forging. The parts are often manufactured using these methods and then assembled after any secondary machining has occurred. 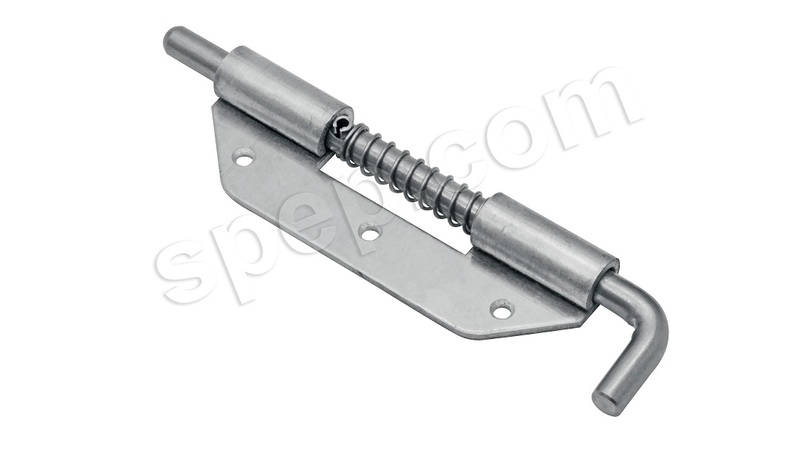 The specific materials used for cabinet latches vary with the type and design of the latch and the stress requirements of its intended application. Stainless steel is well suited for latches that need to be both strong and resistant to wear and tear. For aesthetic purposes, many companies offer stainless steel latches plated with chrome, brass or other fine finishes which also adds a further protective layer to the material. Other metal latches may also be powder coated for added durability and to prevent water from entering internal components of the latch and causing corrosion damage. Magnetic latches are a simple and effective alternative to traditional metal latches and are very easily concealed in cabinetry where the door slightly overlaps the frame. These latches require only magnets with attracting polarity to be secured to the adjacent surfaces and are easy to open and close. The pull of the magnet fastens the cabinet, though the security of the latch depends on the strength of the magnet, allowing for some variability as desired. Cabinet Latches In cabinetry, latches are used to close and secure cabinet doors to their frame or other doors. A wide variety of latch types can be used for cabinetry. The type of latch used depends largely on the size, construction and purpose of the cabinet.